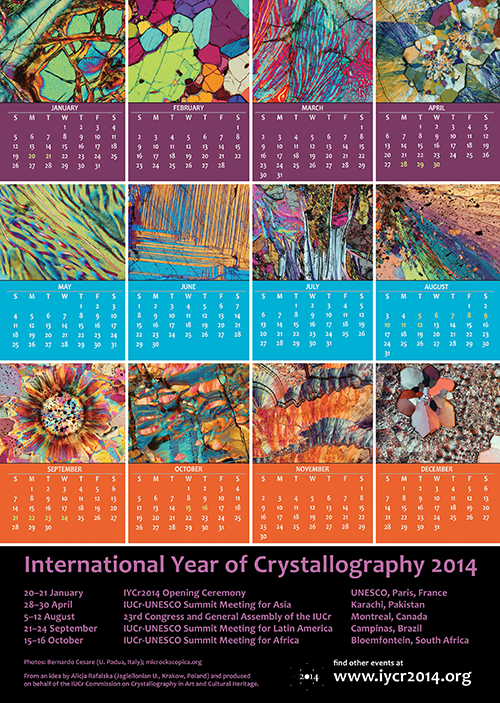 Many calendars are being produced by organizations worldwide to celebrate IYCr2014. 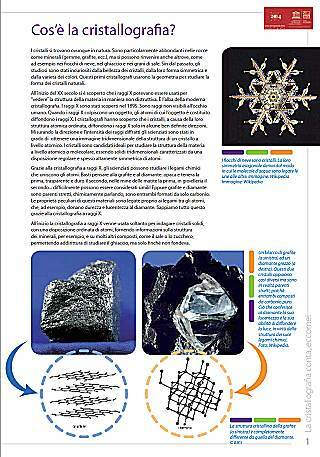 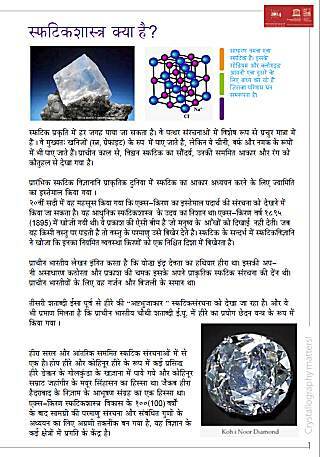 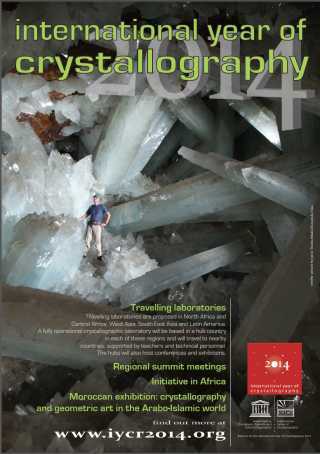 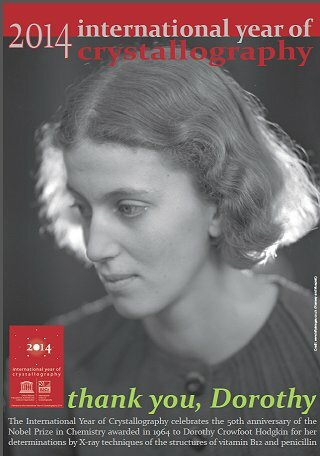 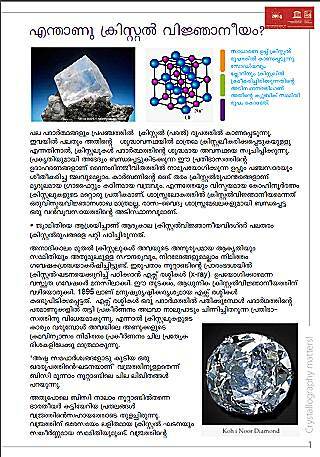 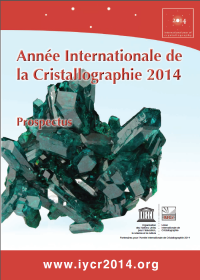 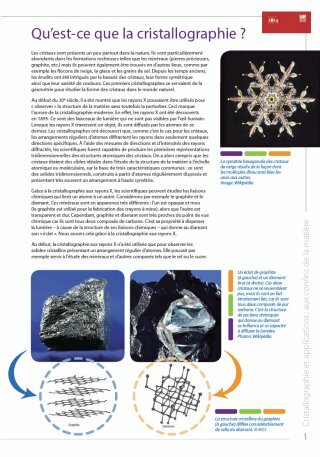 UNESCO brochure - Crystallography matters! 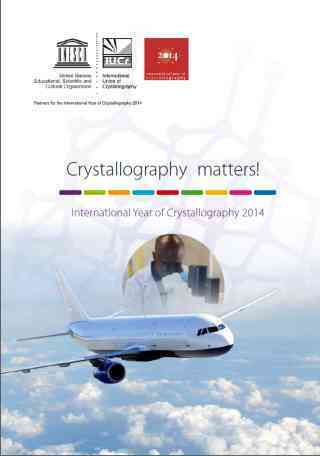 A 20-page booklet describing the role of crystallography in the modern world and the significance of the International Year of Crystallography. 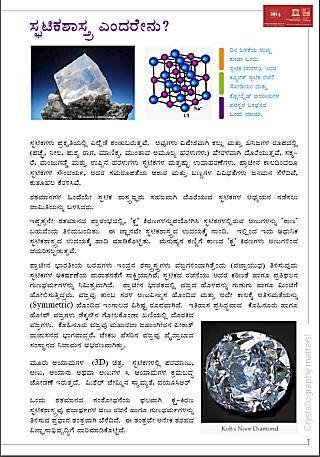 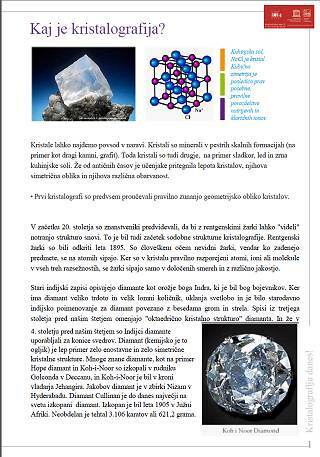 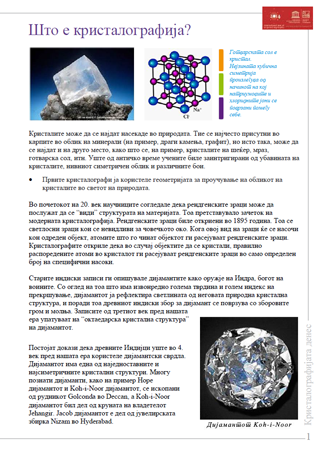 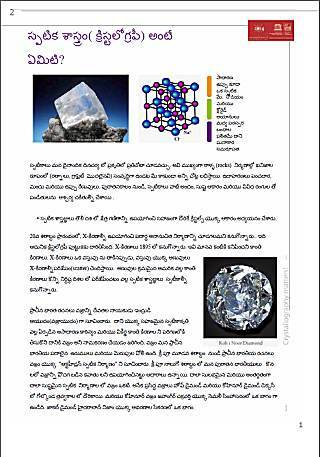 A 4-page brochure providing guidance for schoolchildren wishing to participate in the International Year of Crystallography. 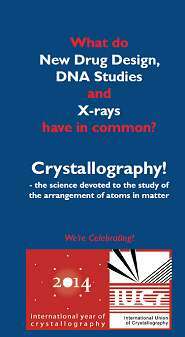 A 6-side brochure introducing crystallography to the general public, and highlighting many of the Nobel Prizes awarded to crystallographers. Below are some posters that you may download and print for display in your laboratory, school, lecture theatre and homes. 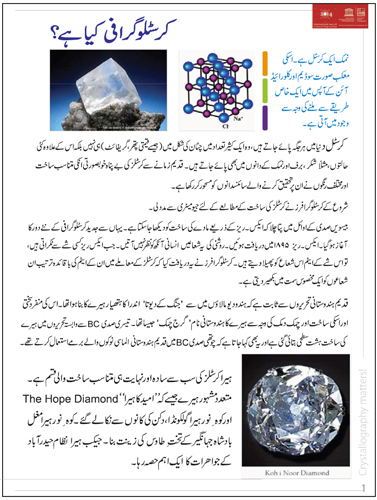 Please spread the good news! 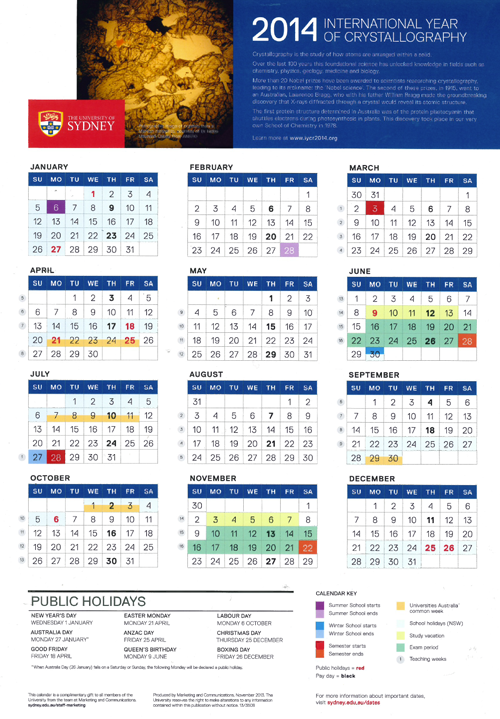 Please also send to us copies of any posters you produce to advertise the International Year (as PDF files), and we shall add them to this site so that others may download and make use of them. 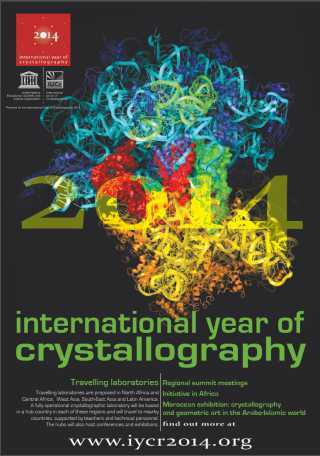 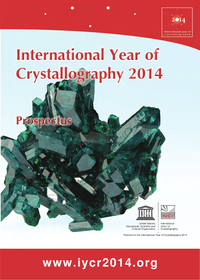 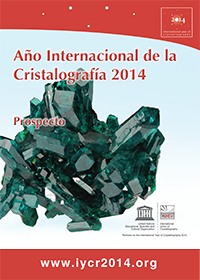 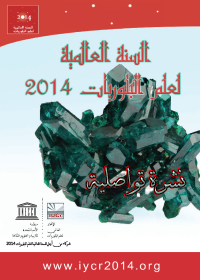 A 12-page booklet outlining the scope of the International Year of Crystallography.